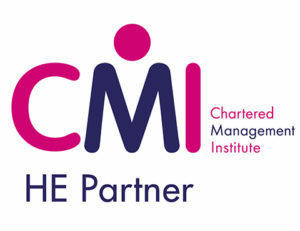 We are Higher Education Partners with the Chartered Management Institute (CMI). This means our students will have the opportunity to become a CMI member and benefit from their unique online resource portal. The CMI offers practical, proven solutions for individual managers, employers and education providers alike that can help to marry the worlds of academia and business. You will have access to ManagementDirect throughout your studies. The resources that it offers will provide you with additional support to increase your subject knowledge, gain key skills and assist with increasing your employability after graduation. You can learn more about the CMI on their website here.